Tooth loss results to a lot of problems with your appearance, and with the function of your smile. Missing teeth problems can be solved with a variety of treatments such as dental implants at Life Dental Implants in London. However, it is still much better to take good care of your oral health so that you can avoid facing missing teeth problems. Have you lost a tooth, or several teeth? What caused the tooth loss problem? Listed below are some of the most common factors that lead to tooth loss. decay. Irregular dental checkups, or not going to the dentist at all, also contribute to poor oral hygiene habits. Tooth Decay – The teeth structure can easily be damaged when good oral hygiene is not practised. Plaque-causing bacteria can build up on the surface of teeth and on the gum line; if not treated early, this problem can lead to tooth loss. Gum Disease – The gums support the teeth structure. Periodontal disease makes the gums weaker, especially if the problem becomes complicated and not treated in its early stages. As the gums weaken, they lose their ability to support the teeth – and the problem can end in tooth loss. 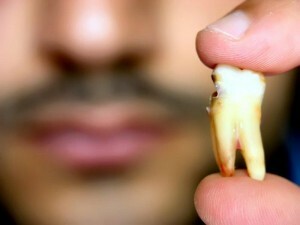 Accident or Trauma – Injuries to the face or mouth area can knock out a tooth, or several teeth.